Ten years ago we were seeing a big leap forward in the capabilities of smartphones, which was great if you wanted to see the world through a tiny little screen. If you wanted something larger, the choice was usually some sort of expensive laptop. Tablets as we know them today didn’t yet exist, with Nokia’s niche Internet Tablet only coming in with a 4.1” screen. 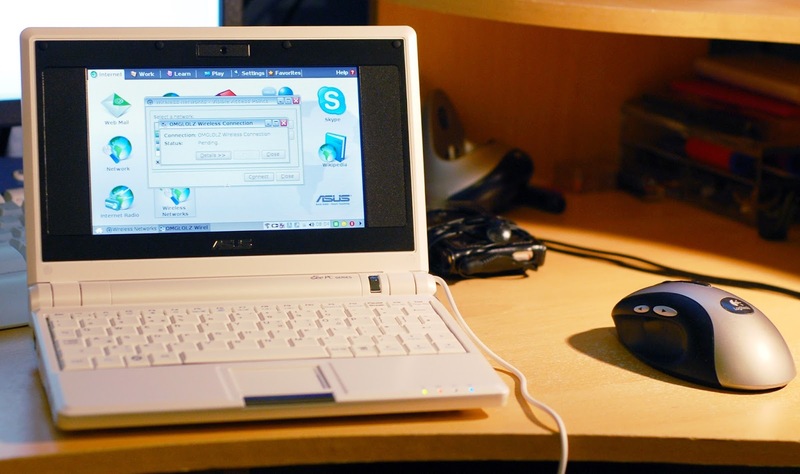 In October 2007, Taiwanese manufacturer ASUS came up with their solution to the smartphone/laptop gap with the ASUS Eee PC 701. A tiny laptop with a 7” 800 x 480 display, the eee 701 also came with a 4GB solid state hard disk, 512MB of memory and a 900 MHz Intel Celeron processor. It also had a built in WiFi adaptor, Ethernet port, sound and a microphone, three USB 2.0 ports, an MMC/SD card reader and one available PCI Express Mini Card inside (another one was used by the WiFi adapter). The operating system was either Xandros Linux, although Windows XP became available later. All of these features came for a very low price of £169 in the UK, which was a good deal cheaper than the Nokia 810 and probably a lot more practical. It was a very small device, about the size of a hardback book… which of course led to quite a cramped keyboard. Also, it wasn’t the most powerful machine in the world but Xandros ran just fine on it (or you could install another version of Linux if you wanted). 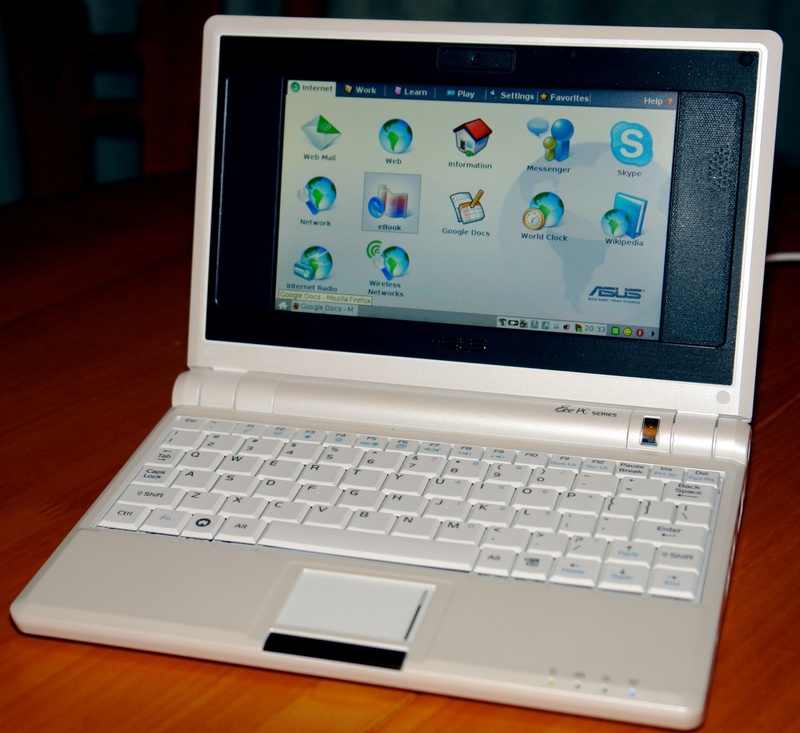 The Eee was dubbed a “netbook” – primarily designed to accessing the web and email rather than games or heavily-computational apps – and it became a huge success. In the UK, the Eee was sold through Research Machines who had launched the equally ground-breaking 380Z thirty years earlier. Despite selling in large numbers, the Eee and rival netbooks struggled against the iPad and Android tablets that came out a few years later, eventually dropping out of production. However, ASUS still make similar devices based on Google’s Chromebook specifications which are equally inexpensive. These days, pre-owned Eee PC 701 machines can be had for around £30 to £50, although you might struggle to find a contemporary operating system to run on them.